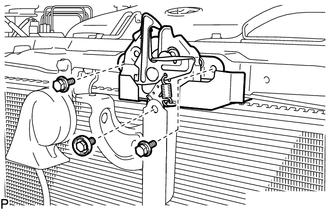 (a) Using a screwdriver, turn the pin 90 degrees and remove the 2 pin hold clips. (b) Remove the 5 clips <A>. (c) Remove the clip <B>. 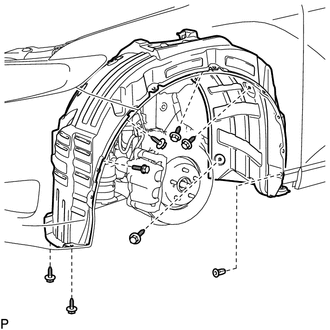 (d) Remove the bolt and 6 screws. (e) Remove the grommet and front fender liner LH. The grommets need to be replaced with new ones because they will break when they are removed. 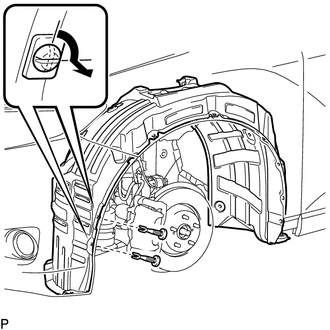 (a) Using a screwdriver, remove the hood lock nut cap. 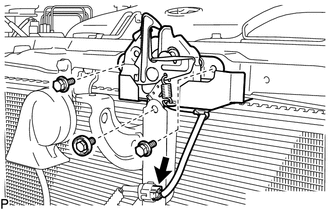 (c) Disconnect the hood lock control cable and remove the hood lock assembly. 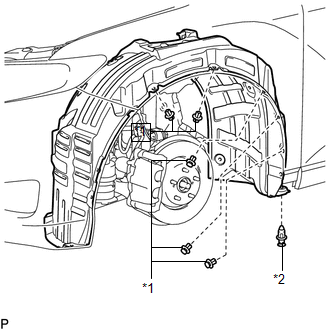 (c) Remove the 3 bolts. 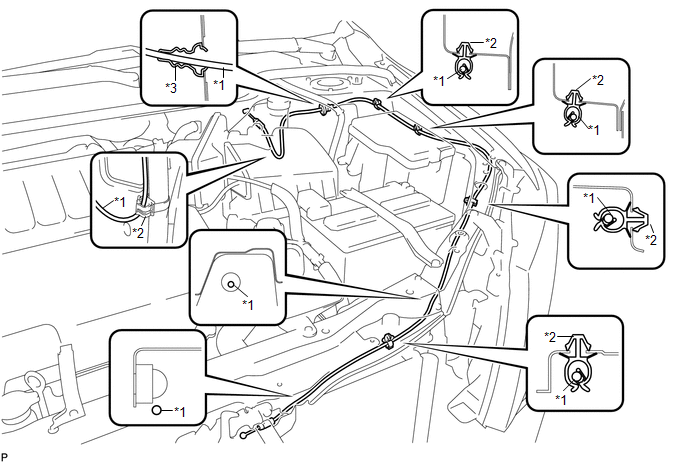 (d) Disconnect the hood lock control cable and remove the hood lock assembly. 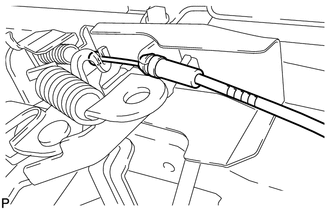 (a) Using a screwdriver, disconnect each clamp shown in the illustration. 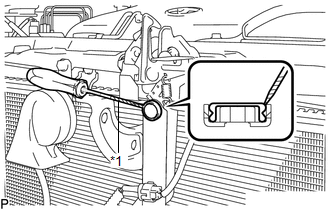 (b) Pull the hood lock control cable assembly from the engine compartment and remove it.